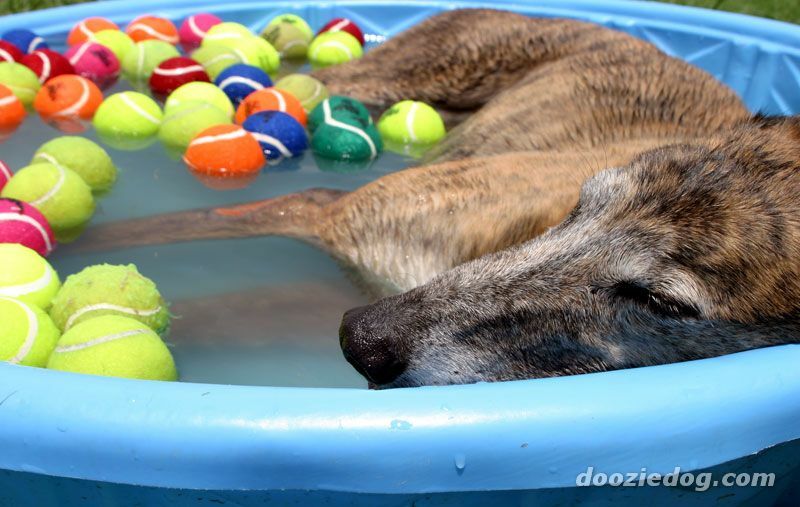 The Greyhound is a thin, elegant animal known for its speed. The head is long, narrow, and fluid. The skull is wide between the ears with a very slight stop and the muzzle is strong with even teeth. The ears are small and set back, pricking only when at attention. The eyes are dark and intense. The tail is long and fine, with a tapering at the end and an outward curve. 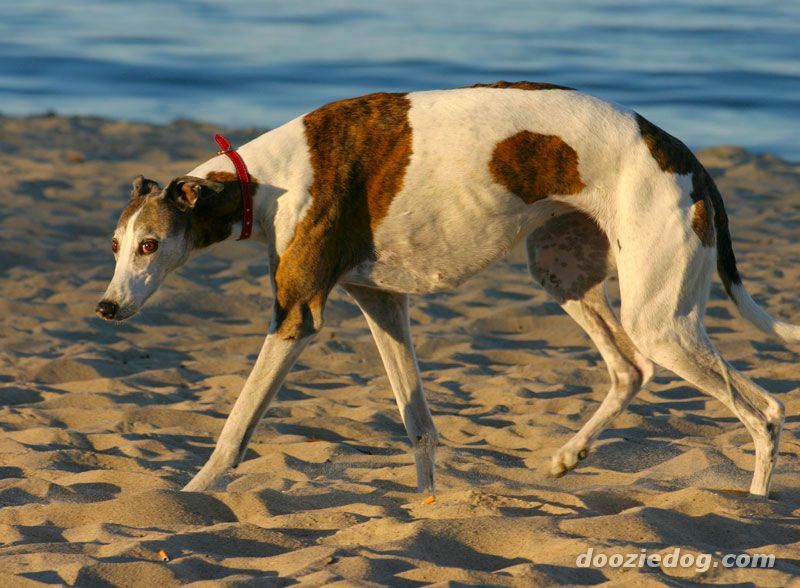 The legs are incredibly powerful, and allow the Greyhound to execute the double suspension gallop, resulting in tremendous speed. The coat is firm, short, and smooth to the touch. All possible colors and patterns occur in this breed. Height (Male) 27 - 29"
Common Misspellings Grayhound, Grey Hound or Gray Hound. 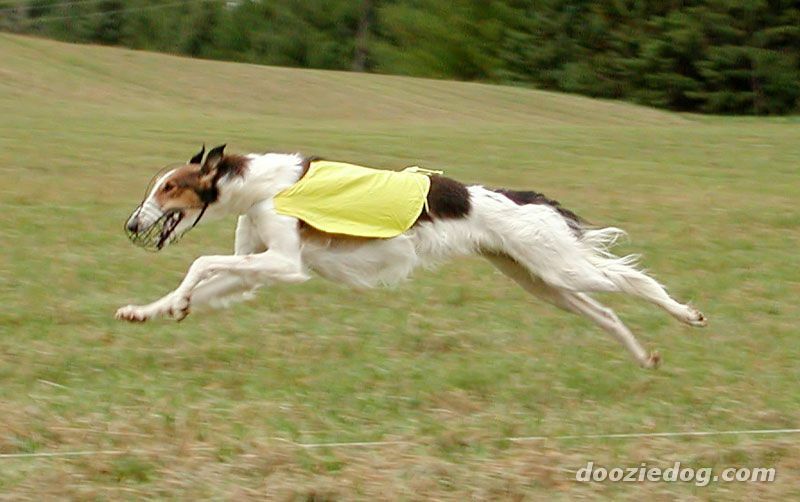 Instinctively, Greyhounds love to chase anything fast, so they must be trained to leave household pets such at cats and rabbits alone. Greyhounds do not like to play rough, and will not respond well to overly boisterous children; they do however get along well with children who respect their space and play nice. These dogs bond with their owners very deeply, and are courageous and devoted. The Greyhounds indoor etiquette is superb: it is quiet and calm around the house, and hardly ever barks. 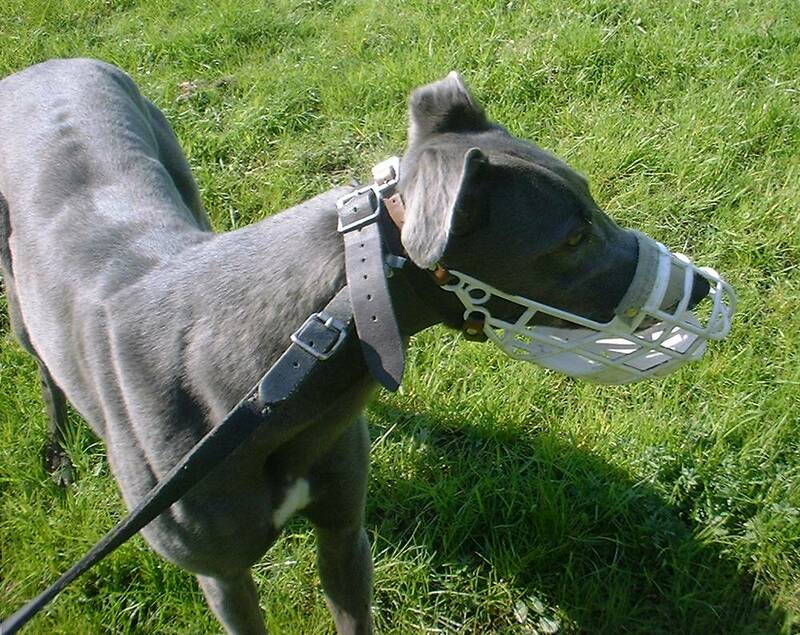 The Greyhound is independent by nature, but also willing to obey its master; training should be fairly straightforward. Dogs from both show and racing lines make wonderful pets. They are not fond of cold weather but if given a jacket they will be okay outdoors for brief periods; this dog should never be made to live outside. 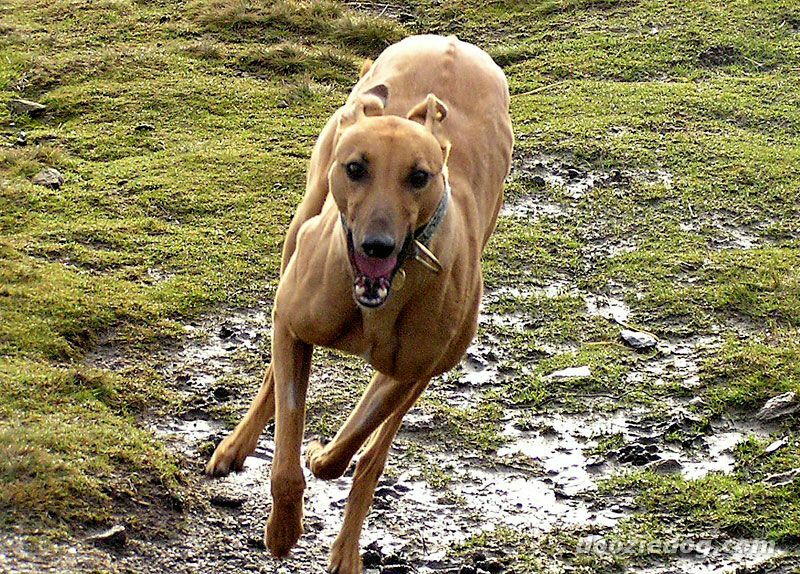 Greyhounds need daily exercise and a chance to stretch their powerful legs, but since this breed is built for sprinting rather than endurance, the dogs needs can be met with 15 or 20 minutes a day of vigorous running. The dogs coat is easy to maintain and sheds moderately. Greyhounds need occasional brushing and bathing. 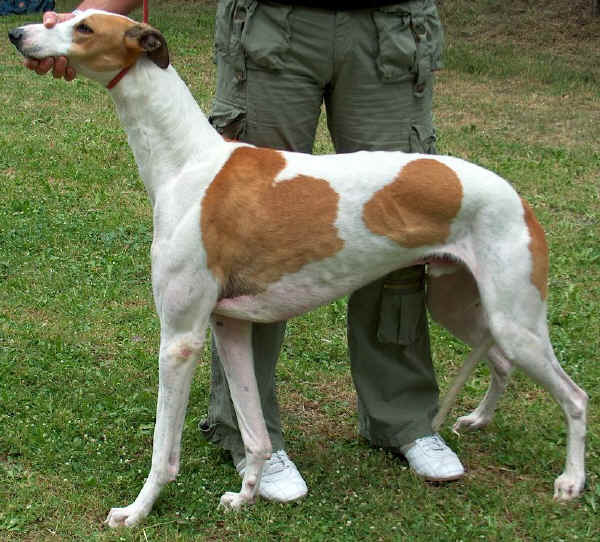 The Greyhound is generally a very healthy breed, though occasionally one will see osteosarcoma, esophageal achalasia, and gastric torsion in the breed. We see the Greyhound taking down deer and other game in Egyptian tomb carvings from 2900 BC; likewise, the historical record of the Greeks, Romans and other ancient cultures are peppered with written accounts of the Greyhound. 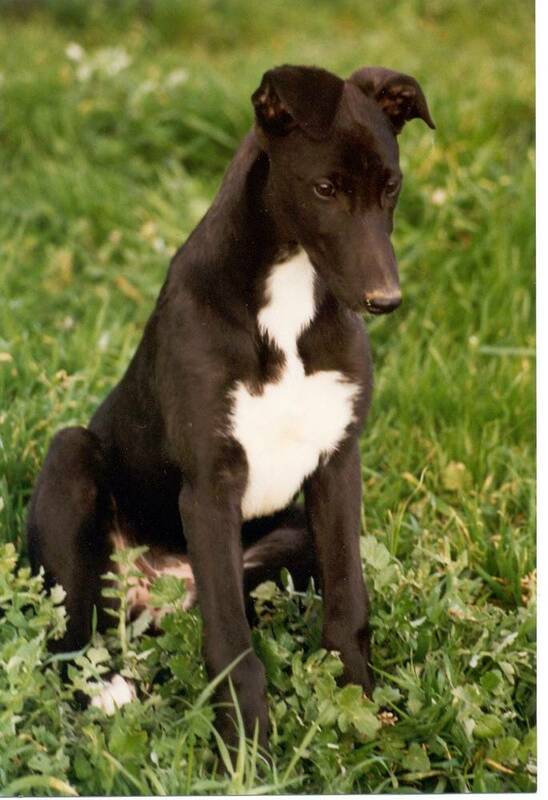 In fact, the name Greyhound has nothing to do with the dogs color, which is immaterial according to the AKC, but likely comes either from the Greek Graius or Latin gradus, meaning Greek and of high grade, respectively. 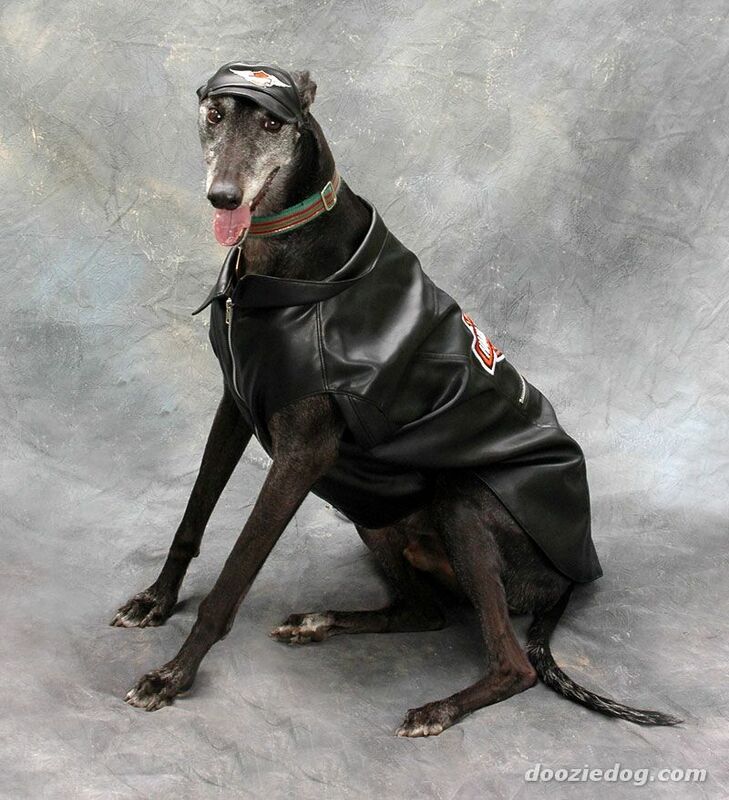 High grade is an apt descriptor for the Greyhound, as the dog has been bred almost exclusively by the noble and aristocratic classes for most of its history. 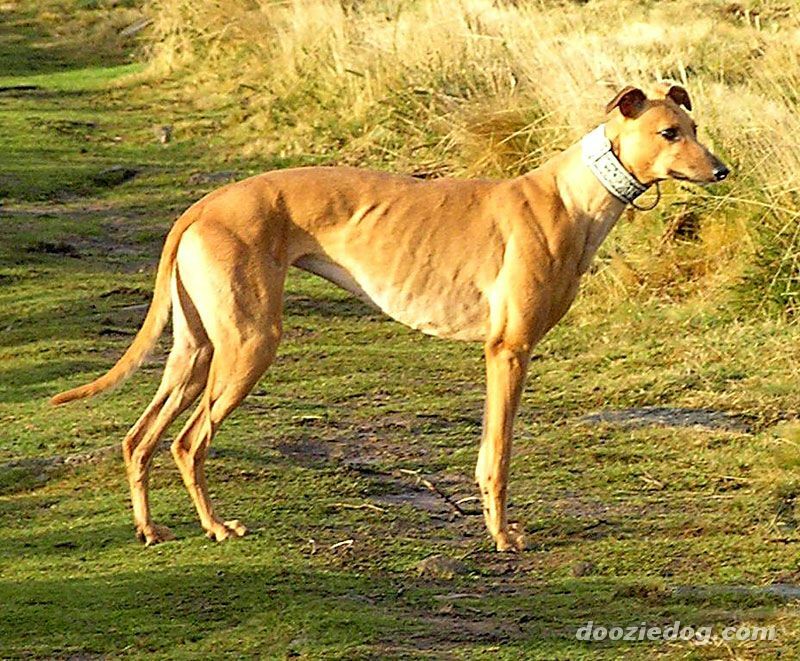 Ancient Greyhounds were used by the common man to hunt game, but as time passed and agriculture became more important, the breeds hunting skills were largely forgotten in favor of its coursing and racing abilities. From the 11th to the 15th century in Britain, commoners were forbidden to keep Greyhounds near royal forests, and even after the ban was lifted the dog remained a pet of the nobility. The Spanish are credited with bringing the first Greyhounds to the New World during the 16th century, and used the dogs to frighten off Native American tribes. George Washington also famously kept a large Greyhound named Azor during the American Revolution. 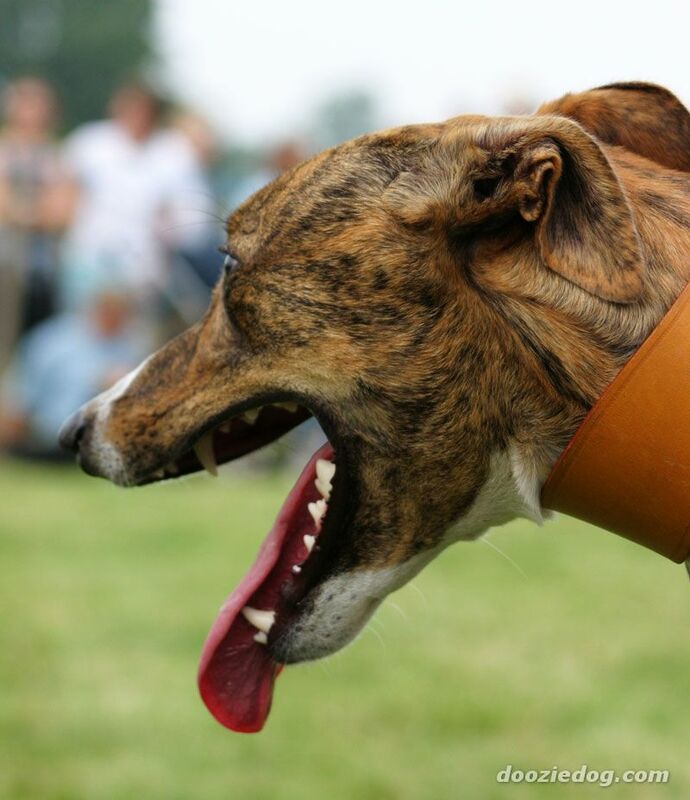 During this time, the Greyhound continued to be raced and entered in coursing competitions. 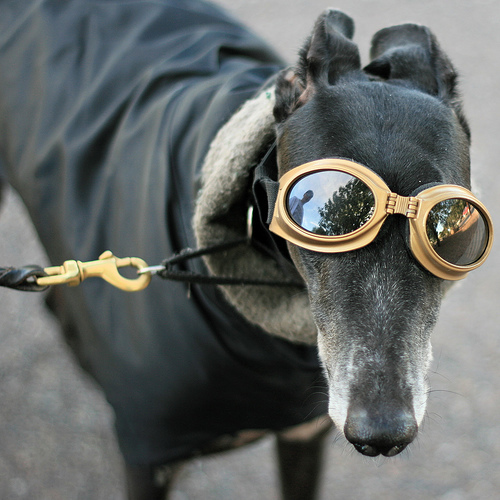 The Greyhound was first entered in dog shows during the 1870s and recognized by the American Kennel Club in 1885. Around this time, the breed became split into show and racing lines, with the show line being a bit more tractable and the racing line obviously faster. 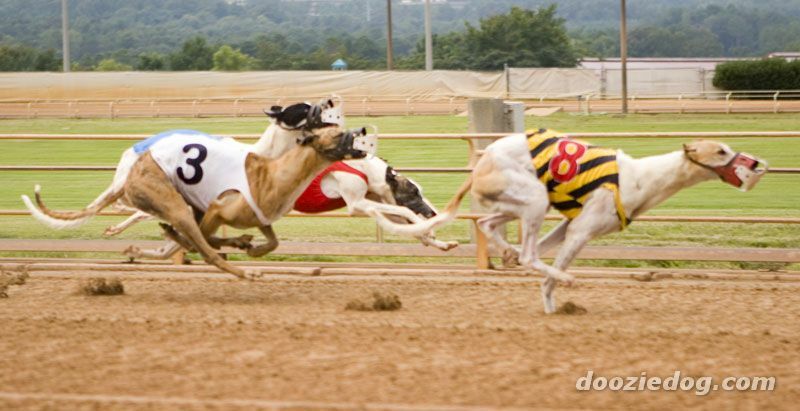 Today the Greyhound is an unpopular pet in the United States, though it has a devoted following as a dog racer.